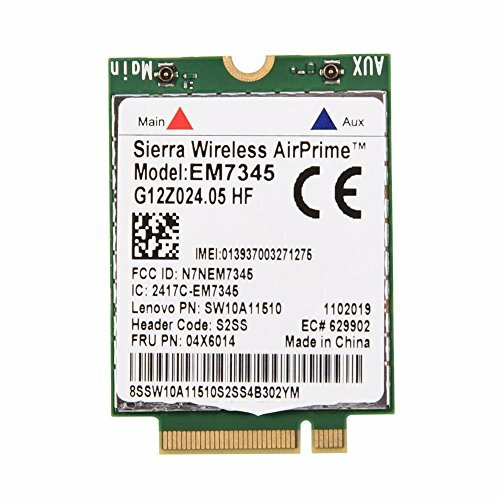 The EM7345 4G LTE Mobile Broadband is a wireless WAN-ready option that provides high speed on the go internet access. WWAN is a predictable, cost efficient remote access solution. Instead of managing the setup, use, and payment of multiple connectivity solutions for your remote workers (remote office connectivity, hotel and airport Wi-Fi, and home office access), you can use a single, cost-effective solution with wide national coverage, consistent experience, simple setup, comprehensive support, and predictable cost. Supports EMEA countries, Australia and New Zealand. Delivers a true broadband experience to any device, anytime, anywhere. A wireless WAN-ready option that provides high speed on the go internet access. If you have any questions about this product by fosa, contact us by completing and submitting the form below. If you are looking for a specif part number, please include it with your message.